Whenever you want to play Sizzling Hot Classic, Sizzling Hot Deluxe or any other version of the sizzling hot slot, there are several important things to know. This slot machine game is one of the oldest and most popular, thus many copies exist. In slot players circles is simply called the best fruit slot game. 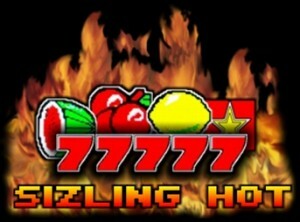 The first obstacle in playing the original sizzling hot is usually the country of origin. You see, there are laws that forbid certain distributors to make their game available globally. For this reason, casinos cannot allow players access games they are not licensed for in respective countries. The end result is a big mess that ultimately benefits no one. If you are from the United Kingdom or Canada you are in luck as you will have access to most sites that offer the original version of sizzling hot. European Countries have a tougher time since some are restricted. Here is some more information about slots country restrictions. Beside the country restrictions, there are other important factors to consider. Finding the right place to play sizzling hot slot is not always easy. The site you as the player chose should be safe, transparent, with positive reviews and competent, on point customer support. The overall trustworthiness of a site. Wagering requirements and reward systems. The first option is Casumo. They are known as a secure and trustworthy community-like slot portal. Their game inventory is quite large and games from the Novomatic Novoline family can be found. Titles such as Sizzling Hot, Book of Ra, Lucky Lady's Charm and more. Casumo has multiple software providers: Net Entertainment, Microgaming, Evolution Gaming, Play'n Go, GreenTube, IGT, NextGen Gaming, Novomatic, Thunderkick, Quickspin, Elk Studios, Quickfire. Casumo does not accept players from the following countries: Australia, Belgium, Bulgaria, Croatia,China, Denmark, France, Greece, Guam, Turkey, Hong Kong SAR China, Italy, Marshall Islands, North Korea, Northern Mariana Islands, Puerto Rico, Romania, South Africa, Spain, Slovakia, Slovenia, Turkey, United States. The best part about Casumo is that they have mostly positive reviews from players and sites alike. The main reason for us recommending Casumo is that we have played there for more than 3 years. Back in 2013, it was hard to reach customer support by e-mail. The average response time from customer support was measured in hours. From 2015 to 2017 the customer support reply or reaction time was about 5 minutes. A fast response is usually a good sign. The Casumo Welcome bonus currently consists of a bonus of 100% up to £300 plus 20 complimentary spins on Starburst. The minimum deposit that will trigger the bonus is £10. This bonus has a wagering requirement of 30x(deposit+bonus) for the deposit bonus and 30xwinnings for the free spin winnings. The maximum allowed bet is £5 on any single round of play or £0.50 on a single payline. There is no maximum win on either the deposit bonus or the complimentary spins. The bonus is cashable.